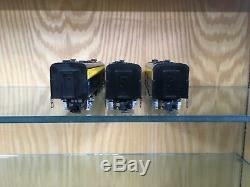 American Flyer S gauge 484, 485, 486 ABA Loco in Excellent Plus to Like New condition (C7+-C8). B-unit sound does not work. In nice bright Santa Fe blue and yellow colors. Both powered and dummy units are illuminated. Please see our other auctions/items for sale and feedback. 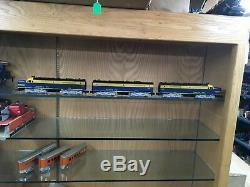 OVER 25 YEARS EXPERIENCE DEALING TOY TRAINS! Train Collectors Warehouse has been in business for over 25 years. 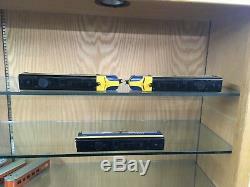 Father and son team Ed & Doug Prendeville are experienced and respected dealers in the toy train industry. Their TCA Numbers are: Ed Prendeville TCA# 71-3926 and Doug Prendeville TCA #99-49497. 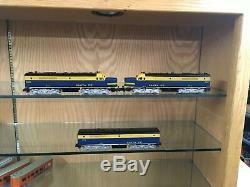 Throughout their years in the train business, Train Collectors Warehouse has built excellent collections for both their clients and themselves. 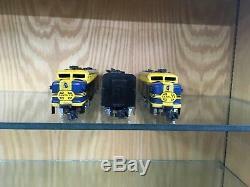 Train Collectors Warehouse is frequently consulted for price guides. We have a warehouse and always welcome special requests or wish lists for items to compliment or begin a collection. 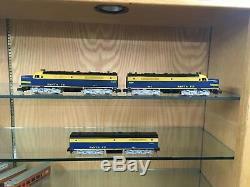 The item "American Flyer S Gauge Santa Fe 484,485,486 ABA Loco 1956-57" is in sale since Thursday, January 17, 2019. 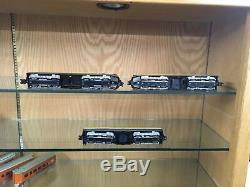 This item is in the category "Toys & Hobbies\Model Railroads & Trains\S Scale\Locomotives". The seller is "morganprendeville" and is located in Parsippany, New Jersey. This item can be shipped worldwide.